Since our humble beginnings in 1998, we've considered our customers and employees integral parts of our success as a company. 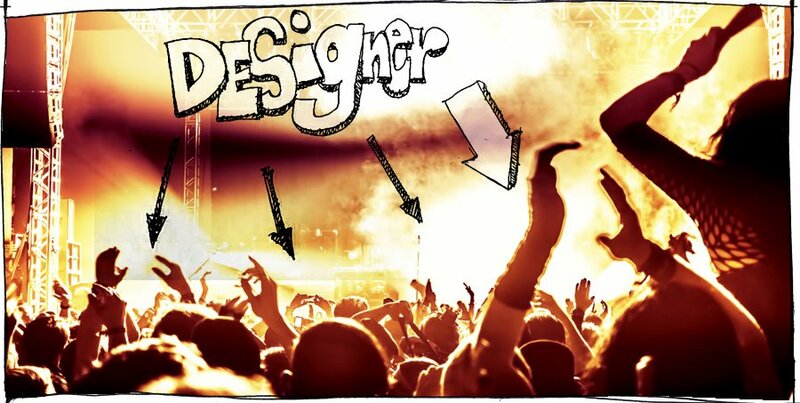 No matter their job title or role, we consider all of them designers. They've helped us build an amazing company and consistently focused us on designing great products and services. Our recent ZURB Wired is a fantastic example of teams coming together to design amazing results. In our fourth principle of Progressive Design, Everyone is a Designer, we explain why everyone can do this. When we interact with clients, students in our classes, or others, we work hard to get them to understand how to contribute feedback on visual ideas, to build off those ideas, and then to own them and carry them on into their everyday practices. There is nothing more gratifying than seeing a former client voluntarily explore five ideas to gather feedback instead of just building the first one! Over the next few weeks, we'll share all seven principles of Progressive Design. We've blogged about three of them so far: Design for Influence, Lead by Design and Iteration Builds Momentum. Design methods have exploded over the last two decades with the growth of the web, concepts like experience maps and user stories are gaining traction in organizations. And companies will continue to embrace more design methodologies because design conscious companies continue to outperform the market. Since more companies are embracing design, we need to ask, what is design? We are all designers -- because we must be. We live our lives, encounter success and failure, sadness and joy. We structure own worlds to support ourselves throughout life. Some occasions, people, places, and things come to have special meanings, special emotional feelings. These are our bonds, to ourselves, to our past, and to the future. When something gives pleasure, when it becomes a part of our lives, and when the way we interact with it helps define our place in society and in the world, then we have love. Design is part of this equation, but personal interaction is the key. People are at the core of design. Successful design isn't an artifact, it's the interconnection of the people who use the products and services everyday with the team who influences the outcome. In a world of connected products and services, teams must continuously influence outcomes. Everyone is a designer. In fact, everyone must design if teams are to create successful products and services that can adapt to daily change. Change is happening so quickly that teams must rely on all members to make solid design decisions in rapid succession. If everyone is a designer, then the role of a design practitioner must evolve in an organization. There's a greater purpose at hand and teams need designers to unlock this design potential by stepping up to lead. It's unfamiliar territory for most designers, but if they can empathize and foster the design talent within their team, they won't necessarily need to drive a heavy corporate management agenda (many designers fear driving business decisions). They really need to facilitate design collaboration. Designers should focus on shaping outcomes. Jared Spool states, "The designer imagines an outcome and puts forth activities to make that outcome real." Don Norman suggests the role of a practitioner has a specific place in the design process to make products that are attractive, work well, and make us fall in love with at first sight. In Progressive Design, we build off both these ideas by expanding on the idea that designers must be user-centered and concern themselves with outcomes. However, we take this a step further by suggesting that they must also influence stakeholders, who are both users and executives, to achieve better outcomes. The emerging role of a designer aligns with Rohini Vibha's view on product management, "You're not managing a product. You're managing the problem it solves." This view is supported by a lot more designers who take an active role in shaping the product. At Skillshare, the design team is equipped with skills like a deep understanding of business, operations, and analytics ' they've been able to create more impactful products at a higher velocity. Professional designers may be intimidated knowing their success is dependent on a team with contributors that also have design skills. Companies propagate this fear by failing to help designers extend their reach or gain comfort in a facilitation role. Design titles only reinforce this divide. Companies continue to hire UX designers, but they haven't done much to figure out how to build design centric teams. The role of a UX designer isn't going to solve an organization's product or design leadership problems. We believe many organizations have made a huge mistake. They have siloed user experience design as a role, with the hope of plugging holes with individuals. Organizations that figure out that designing great products is the responsibility of everyone have a huge advantage over their competition. We've been quite vocal with our ideas, sometimes creating division with our proclamations, that user experience design doesn't exist. Seven years later perhaps we're splitting hairs over a term, though it's clear that designers and companies are still hungry for clarity. In theory, the concept of UX is good, but most organizations set up UX departments with people who don't have the support skills to execute the desired end result or means to solve most of the design problem with their own labor. For example, designers that code pages can create momentum with an idea much faster. In the end, what's important is not what titles are used, but rather building organizations around the skills needed to build successful products. Great product teams break down silos and engage everyone to participate in creating better experiences for users. We need to rethink how our teams work together. It's not surprising that design practitioners don't always have the desire to work in teams ' they've been burned too many times or simply don't have the training to collaborate effectively. Based on my experience, there simply aren't enough resources, classes or mentors that help designers learn important teamwork skills. In our work at ZURB, structured debate helps design teams build momentum together through iteration. We try to keep the process manageable and teach designers how to facilitate conversations with their teammates. "Collaboration means bringing different minds and skillsets together in a way that doesn't make assumptions about what someone is or isn't good at,"says Rosie Manning. By removing titles and individual insecurities within a team, we create a culture that enables people to collaborate more effectively and step into the role of a designer. This is incredibly important to facilitate collaboration and enable uninhibited working. Instead of thinking of team members, like engineers and marketers, as project participants they become key component of the success of the design work by working as designers. The best designers understand how to inspire people to contribute feedback on visual ideas, to build off those ideas themselves, and then to own them and carry them on into their own practices. The discipline of design is complex and has wide applications ' but it's that expansiveness that allows great product teams to make amazing things happen for people. It's both a noun and a verb, and can't be looked at as simply a result or a process. Product design does require creating tangible results, though, and those people who can influence the final result with good old- fashioned elbow grease will get an upper hand in shaping the vision of a product. Everyone on a team can influence the design outcome through collaboration. Over the last century designers have tried all kinds of interesting ways to drive a design process forward. Some of it is really good, but most of it gets in the way of creating momentum with a team. In many cases teams try to overlap a user-centered approach with a production oriented mindset. The result is a flood of design documents meant to push a design process forward. Many of these documents, however, prevent collaboration and create a divide between those 'who design' and those 'who make decisions'. In Progressive Design, The Design Feedback Loop is an opportunity for designers to pull people into the design process. A repeatable, consistent approach to drive design feedback can inspire critical thinking collaborators to become more comfortable sharing their ideas. Designers shouldn't push these team members aside, but instead, figure out how to make their contributions more significant and meaningful. Everyone should feel like an important design contributor ' a designer. Prototyping and building things ' not documenting or "strategizing"
Even with great design process, it's also important to realize that teams don't always work. Teamwork is hard to do and we often have to make compromises. Design teams need to work hard to create collaboration across cross-functional groups and executives. Getting executives on board can also be challenging. Apple uses a technique called the the Pony Meeting. Most importantly, teams need constraints that create a shared boundary. Shared constraints help create unity. The solution, he described, is to take the best ideas from the paired design meetings and present those to leadership, who might just decide that some of those ideas are, in fact, their longed-for ponies. In this way, the ponies morph into deliverables. And the C-suite, who are quite reasonable in wanting to know what designers are up to, and absolutely entitled to want to have a say in what's going on, are involved and included. And that helps to ensure that there are no nasty mistakes down the line. Design tools shouldn't block team members from participating in the design process. Design practices are visual problem-solving tools accessible to everyone who can pick up a pen to express an idea, highlight a great idea, or mark up anything with constructive feedback. Gutenberg and his printing press started a revolution in the 15th century by making the production of publications much easier. In the same time it took a monk to transcribe a bible, a printer could make hundreds of copies. It's important to note, however, that even with the invention of the printing press, the cost of roughly three year's wages for an average clerk made it prohibitive for most people to purchase a publication, let alone create their own publication. The divide between creator and consumer was huge. Even up to the last 30 years, the tools available to designers were cost prohibitive for most and required advanced skills to use. Personal computers and advanced software created many barriers that professional designers found solace in ' this divide created a defensible gap between those who create and consume. But over the last decade the tools available to people who want to reach a worldwide audience have continuously become cost effective and abundant. Designers are even clamoring for simpler software that allow them to produce without the overhead that was once considered a benefit. We now have half the world's population connected via a phone with tools that allow publishers the ability to connect instantly at a fraction of the cost of the original printing press. The cost is nearing zero. If design is the rendering of intent, then feedback helps us understand if we hit the goal. Feedback can come from anywhere. Now that systems like Facebook are so ubiquitous, designers who build these systems are continuously bringing in feedback that is based directly on users who add content to the system. Taking it a step further, the personalization and customization of these systems make the consumer a designer that morphs the interface in real-time, often times based on their own unknown behaviors. Customers and users can become an integral part of the design process, often times co-creating as bits fly through the internet. For example, Amazon deploys to a production server every 11.6 seconds. To put this in perspective, if the average visit time on Amazon is over 11 minutes, the site will have changed 57 times in that users visit ' and that doesn't even include the learned preferences that Amazon is applying in real-time! When product teams open themselves up to feedback, amazing discoveries can be made by extending the circle of influence in the design feedback loop. Slack embraced this customer centric approach in the early development of its product and it's paid off immensely. Potential customers become integral to the building process and designers get more opportunity to connect the dots. We all design in our daily lives and this is a great place to build empathy for customers and drive design collaboration with teammates. Design centric companies create more value ' so increasing design literacy across the organization is important to bring design methodologies to the forefront of product development. Not only must we embrace and invite people into our design process, we must lead our team, customers or organization by design to create more competitive and compelling products. The cost and ease of use of design tools make it more practical to bring design methods into everyone's workflow. Engineers and marketers especially have the capacity to use these tools. Teams that build connected products and services can no longer separate the real-time analytics collected from the customized and personalized experiences they create ' the users are integral in the design process. Users help design the product, whether through proxy or directly contributing to the system. It's an amazing time to be a designer. 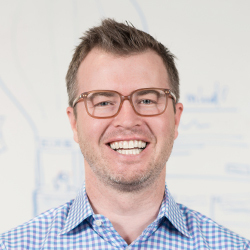 Our fearless leader has been driving progressive design at ZURB since 1998. That makes him quite the instigator around the offices, consistently challenging both the team and our customers to strive to always do better and better.